Follow the paths in Valbruna and Val Saisera (north-Italy), historical area and natural environment well known from world-famous alpinist: Kugy and Oitzinger. 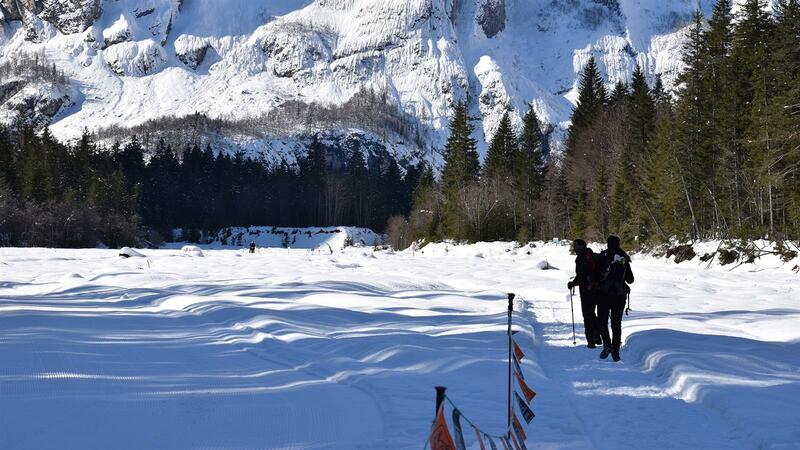 Over 15 km of well-marked and beaten tracks surrounded by enchanting landscapes. Snowshoeing, biking or dog trekking: enjoy the beauty of wild and uncontaminated places. A pleasure for those seeking a relaxing holiday in the scenery of the Jof Fuart mountains chain, the severe walls of the Jof di Montasio “Madre dei Camosci”. Valbruna Beisner Track is about 3.5 km long. Starts from the flat area in front of Valbruna village. Ideal for hiking in the morning and with sunny weather, easy and not too sporty, no guides required. A path where you’ll most likely meet deer, martyrs, foxes, goats, etc. Possibility to combine the walk with the guided tour of Fort Beisner (a military fortress built in the rock). Saisera Wild Track starts from the parking lot of the “Saisera Hütte” the route extends in front of the Julian Alps, places of the First World War. About 11 km in length, medium-easy hike, perfect for a guided tour with a Nordic Walking instructor or a naturalistic guide. 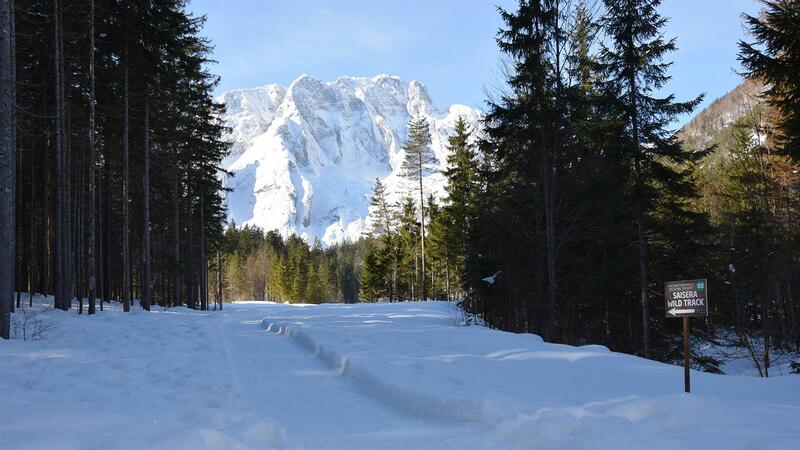 Along with trekking trails, you can expect more than 20 km of well-prepared cross-country trails, ideal for skiing in the woods and clearings (High Alps Saisera – 7.5 km, Low Saisera – 7.5 km, Pista Piana Of Valbruna – 4 km). We recommend heavy winter clothing, water-resistant mountain shoes or boots and as always remember to bring some snacks and water always with you.